Do you know that if you had invested $1,000 only five years ago in Bitcoin you could have around $4,000,000 today? Bitcoin is one of the safest, freest and better way to store your money away from banks and governments. Using it as a way to save, invest or trade; you can forget about unscrupulous third parties, charging you anything from unfair commissions or taxes to prohibitive transfer fees. However to take advantage of the full power and possibilities of Bitcoin, you will need to educate yourself so the details and terminology don't overwhelm you. So you can make a very informed decision if you are planning to enter in the fascinating world of Bitcoin. If you need to move money across borders, if you need to save for the long term, if you want to try your hand at trading: bitcoin is your cheapest and safest choice. 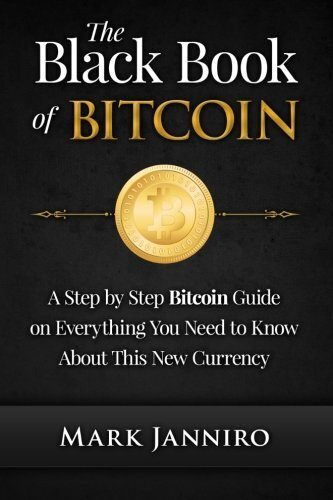 "The Black Book of Bitcoin", A Step-by-Step Bitcoin Guide on Everything You Need to Know About this New Currency. Buy it now and change your financial literacy forever.